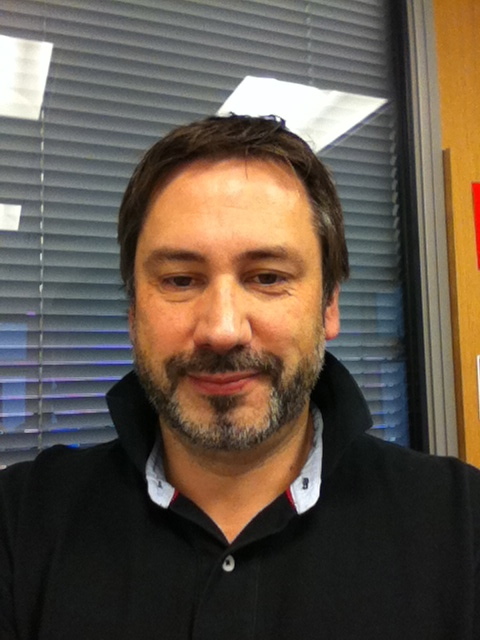 Prof Peter Golyshin is interested in the environmental genomics of microorganisms. He performed the first omics-based studies in marine obligate hydrocarbonoclastic bacteria that play a key role in marine oil degradation worldwide. He pioneered activity-based metagenomic enzyme discovery in cow rumen, earthworm gut and deep-sea environments. His other significant achievements include the determination of the chaperonin-based cold adaptation in E. coli and Oleispira. His lab has isolated and described >10 microbial taxa at the level of the genus and above and performed culture-independent analysis of deeply branching microbial phyla from extreme habitats. His current activities focus on mining (meta)genomes for enzymes of industrial relevance. Innovate UK-BBSRC Grant No. 101911 Biotechnology for Antiweeds (BaW) (PG with Dr Slava Tverezovskiy (BioComposites) 1.09.2014-31.08.2017, £498.000. Oyama, LB, Crochet, J-A, Edwards, JE, Girdwood, SE, Cookson, AR, Fernandez-Fuentes, N, Hilpert, K, Golyshin, P, Golyshina, O, Prive, F, Hess, M, Mantovani, HC, Creevey, CJ & Huws, SA 2017, 'Buwchitin: A Ruminal Peptide with Antimicrobial Potential against Enterococcus faecalis', Frontiers in Chemistry. Chigor, CB, Ibangha, I-AI, Onuora, VC, Omotosho, OE, Chernikova, T, Chigor, VN & Golyshin, P 2017, 'Multidrug Resistance and High Prevalence of class 1 Integrons in Escherichia coli Isolated from Irrigation Water and Vegetables in Parts of Nsukka and Enugu, Nigeria', Faseb Journal, vol. 31, no. S1, 777.22. Oyama, L, Crochet, J-A, Girdwood, S, Cookson, A, Prive, F, Fernandez-Fuentes, N, Edwards, J, Mikut, R, Hilpert, K, Golyshin, P, Golyshina, O, Creevey, C & Huws, S 2016, 'Antibacterial Activity and Mechanism of Action of a novel Antimicrobial Peptide Palg1 and its potential against Enterococcus Faecalis Infection', Journal of Peptide Science, vol. 22, no. S2, pp. S188-S188. Nechitaylo, TY, Ferrer, M, Golyshin, PN & Nelson, KE (ed.) 2015, Terrestrial Invertebrate Animal Metagenomics, Lumbricidae. in Encyclopedia of Metagenomics. 2015 edn, Springer, pp. 1-10. Kotsyurbenko, OR, Duplex, OND, Roey, A, Golyshina, ON, Golyshin, PN & Vorobyova, EA 2012, 'Chemolithotrophic Microorganisms and Microbial Community from the Desert Soil as Candidates for the Phobos-Grunt Space Return Mission', PALEONTOLOGICAL JOURNAL, vol. 46, no. 9, pp. 1075-1076. Contribution of crenarchaeal autotrophic ammonia oxidizers to the dark primary production in Tyrrhenian deep waters (Central Mediterranean Sea). Diversity of glycosyl hydrolases from cellulose-depleting communities enriched from casts of two earthworm species. Microbial consortia in mesocosm bioremediation trial using oil sorbents, slow-release fertilizer and bioaugmentation. Populations of heavy fuel oil-degrading marine microbial community in presence of oil sorbent materials. Osanjo, GO, Muthike, EW, Tsuma, L, Okoth, MW, Bulimo, WD, Luensdorf, H, Abraham, W-R, Dion, M, Timmis, KN, Golyshin, PN & Mulaa, FJ 2009, 'A salt lake extremophile, Paracoccus bogoriensis sp nov., efficiently produces xanthophyll carotenoids', AFRICAN JOURNAL OF MICROBIOLOGY RESEARCH, vol. 3, no. 8, pp. 426-433. Byzov, BA, Nechitaĭlo, TI, Bumazhkin, BK, Kurakov, AV, Golyshin, PN & Zviagintsev, DG 2009, 'Микроорганизмы из пищеварительного тракта дождевых червей', Mikrobiologiia, vol. 78, no. 3, pp. 404-13. Metagenomics as a new technological tool to gain scientific knowledge. Metagenomics approaches in Systems Microbiology. Metagenomics for Mining New Genetic Resources of Microbial Communities. Niche-specificity factors of a marine oil-degrading bacterium Alcanivorax borkumensis SK2. A purple acidophilic di-ferric DNA ligase from Ferroplasma. Recent trends in industrial microbiology. Mining nature for new protein diversity. Golyshin, PN 2008, 'Mining nature for new protein diversity.' Paper presented at GENOSCOPE (Evry, France), March 7, 2008., 3/01/01, . Golyshin, PN 2008, 'Biodegradation of Oil Hydrocarbons.' Paper presented at 14th International Biodeterioration and Biodegradation Symposium (IBBS-14) Naxos (Sicily), 6-11 October 2008., 3/01/01, . Diversity of facultatively anaerobic microscopic mycelial fungi in soils. Genomic insights into oil biodegradation in marine systems. Golyshin, P, Martins dos Santos, VA, Yakimov, MM, Timmis, KN, Golyshin, PN & Diaz, E (ed.) 2008, Genomic insights into oil biodegradation in marine systems. in Microbial Biodegradation: Genomics and Molecular Biology. 2008 edn, Caister Academic Press, pp. 269-296. Golyshin, P, Golyshina, OV, Golyshin, PN, Timmis, KN & Ferrer, M 2007, Acidophilic enzymes., Patent No. European Patent EP1859029. Characterization and role of a metalloprotease induced by chitin in Serratia sp KCK. Catalytic role of conserved HQGE motif in the CE6 carbohydrate esterase family. Ferrer, M, Golyshin, PN, Golyshina, OV, Chernikova, TN, Strompl, C & Timmis, KN 2007, Polypeptides with laccase activity, Patent No. European Patent EP1826266. Characterization of a chitinolytic enzyme from Serratia sp KCK isolated from kimchi juice. Mining enzymes from extreme environments. Microbial metagenomes: moving forward industrial biotechnology. Ferrer, M, Golyshin, PN, Golyshina, OV, Chernikova, TN, Strompl, C & Timmis, KN 2007, New Esterases from rumen., Patent No. International Application WO 2006/003009 European Patent PCT/EP2005/007305.. Shift from acetoclastic to H-2-dependent methanogenes is in a West Siberian peat bog at low pH values and isolation of an acidophilic Methanobactetium strain. Limits of life in MgCI2-containing environments: chaotropicity defines the window. Golyshin, P, Sabirova, JS, Ferrer, M, Abraham, WR, Luensdorf, H, Timmis, KN & Golyshin, PN 2007, Extracellular polyhydroxyalkanoates produced by genetically engineered microorganisms, Patent No. European Patent EP1752532. Analysis of storage livid accumulation in Alcanivorax borkumensis: Evidence for alternative triacylglycerol biosynthesis routes in bacteria. The cellular machinery of Ferroplasma acidiphilum is iron-protein-dominated. Biochemical and structural features of a novel cyclodextrinase from cow rumen metagenome. Discovery of New Microbial Lineages from Extreme Environments and Their Unique Cellular Machinery with Implication to Hypothetical Extraterrestrial Ecosystems. Golyshin, PN 2007, 'Discovery of New Microbial Lineages from Extreme Environments and Their Unique Cellular Machinery with Implication to Hypothetical Extraterrestrial Ecosystems.' Paper presented at German Research Council (DFG) Colloquium, Priority Program “Mars and Terrestrial Planets”, February 19-20, 2007, Berlin, Germany., 3/01/01, . Functional genome analysis of Alcanivorax borkumensis SK2. Golyshin, PN 2007, 'Functional genome analysis of Alcanivorax borkumensis SK2.' Paper presented at Annual Meeting of German Society for General and Applied Microbiology (VAAM), April 1-4, 2007, Osnabrueck Germany., 3/01/01, . Functional genome analysis of an ubiquitous alkane-degrading marine bacterium, Alcanivorax borkumensis SK2. Golyshin, PN 2007, 'Functional genome analysis of an ubiquitous alkane-degrading marine bacterium, Alcanivorax borkumensis SK2.' Paper presented at 3rd European Conference on Prokaryotic Genomics, ProkaGENOMICS 2007, October 2007, Göttingen, Germany., 3/01/01, . Reaction of microorganisms to the digestive fluid of earthworms. Mutation in a "tesB-like" hydroxyacyl-coenzyme A-specific thioesterase gene causes hyperproduction of extracelluar polyhydroxyalkanoates by Alcanivorax orkumensis SK2. Genome sequence of the ubiquitous hydrocarbon-degrading marine bacterium Alcanivorax borkumensis. Transgenic organisms with lower growth temperature. Ferrer, M, Golyshin, PN, Chernikova, TN, Timmis, KN & Yakimov, MM 2006, Transgenic organisms with lower growth temperature., Patent No. European Patent EP1673442 B1. Proteomic insights into metabolic adaptations in Alcanivorax borkumensis induced by alkane utilization. Ferrer, M, Golyshin, PN, Golyshina, OV, Chernikova, TN, Strompl, C, Timmis, KN, Elborough, K & Jarvis, G 2006, Cellulases from rumen., Patent No. EP1765999. International Patent Application WO 2006/00375 European Patent PCT/EP2005/053104..
Functional genome analysis of Alcanivorax borkumensis, an ubiquitous and efficient marine oil-degrader. Golyshin, PN 2006, 'Functional genome analysis of Alcanivorax borkumensis, an ubiquitous and efficient marine oil-degrader.' Paper presented at European School of Genetic Medicine, 1st Course in Microbial Bioremediation and Environmental Genomics, March 11-16, 2006, Bertinoro, Italy., 3/01/01, . Low temperature induced systems failure in Escherichia coli: Insights from rescue by cold-adapted chaperones. Golyshin, PN 2006, 'Mechanism of cold sensitivity of E. coli and a new low temperature expression system for proteins.' Paper presented at International Conference on Polar and alpine microbiology. March 26-30, 2006, Innsbruck, Austria., 3/01/01, . Golyshin, PN 2006, 'New protein diversity from extreme (meta)genomes.' Paper presented at European School of Genetic Medicine, 1st Course in Microbial Bioremediation and Environmental Genomics, March 11-16, 2006, Bertinoro, Italy., 3/01/01, . New proteins from (meta)genomes of marine hydrocarbon-degrading organisms and their consortia. Golyshin, PN 2006, 'New proteins from (meta)genomes of marine hydrocarbon-degrading organisms and their consortia.' Paper presented at International Symposium “From functional genomics to natural products of marine microorganisms” June 21-23, 2006, Greifswald, Germany., 3/01/01, . Golyshin, PN 2006, 'Psychrophily and chaperones.' Paper presented at Congress of International Society of Environmental Biotechnology (ISEB), The Japan Society for Environmental Biotechnology (JSEB); European Federation of Biotechnology (EFB), July 10-13, 2006, Leipzig, Germany., 3/01/01, . Surprising features of extremely acidophilic and heavy metal-resistant archaeon, Ferroplasma acidiphilum. Golyshin, PN 2006, 'Surprising features of extremely acidophilic and heavy metal-resistant archaeon, Ferroplasma acidiphilum.' Paper presented at International Conference “Extremophiles-2006”, September 17-21, 2006, Brest, France., 3/01/01, . Chemical biotechnology: what’s new, what’s next? Mining genomes and 'metagenomes' for novel catalysts. Novel hydrolase diversity retrieved from a metagenome library of bovine rumen microflora. Sequence and structure analysis of crytic plasmid pN30 from oil-oxidising strain Rhodococcus erythropolis 30. Riabchenko, LE, Novikov, AD, Golyshin, PN & Ianenko, AS 2005, 'Анализ криптической плазмиды pN30 из нефтеразрушающего штамма Rhodococcus erythropolis 30', Genetika, vol. 41, no. 12, pp. 1725-7. Conversion of a carboxylesterase into a triacylglycerol lipase by a random mutation. Natural microbial diversity in superficial sediments of Milazzo Harbor (Sicily) and community successions during microcosm enrichment with various hydrocarbons. Microbial enzymes mined from the Urania deep-sea hypersaline anoxic basin. Golyshin, P, Golyshin, PN, Harayama, S, Timmis, KN, Yakimov, MM & Garrity, GM (ed.) 2005, Family Alcanivoraceae. in Bergey’s Manual of Systematic Bacteriology, 2nd Edition, Volume 2. 2005 edn, Springer Verlag, pp. 295-298. Crude oil-induced structural shift of coastal bacterial communities of rod bay (Terra Nova Bay, Ross Sea, Antarctica) and characterization of cultured cold-adapted hydrocarbonoclastic bacteria. Expression of a temperature-sensitive esterase in anovel chaperone-based Escherichia coli strain. Functional consequences of single:double ring transitions in chaperonins: life in the cold. Genomic and mechanistic insights into the biodegradation of organic pollutants. Genome sequence completed of Alcanivorax borkumensis, a hydrocarbon-degrading bacterium that plays a global role in oil removal from marine systems. New tools for elucidating the ecology of micro-organisms in aquatic environments. Chaperonins govern growth of Escherichia coli at low temperatures. The use of biosurfactants in flotation: application for the removal of metal ions. Oleispira antarctica gen. nov., sp nov., a novel hydrocarbonoclastic marine bacterium isolated from Antarctic coastal sea water. Polychlorinated biphenyl-degrading microbial communities in soils and sediments. Oleiphilaceae fam. nov., to include Oleiphilus messinensis gen. nov., sp nov., a novel marine bacterium that obligately utilizes hydrocarbons. The aerobic dechlorination activities of two bacterial species isolated from a refuse dumpsite in Nigeria. Alcalilimnicola halodurans gen. nov., sp nov., an alkaliphilic, moderately halophilic and extremely halotolerant bacterium, isolated from sediments of soda-depositing Lake Natron, East Africa Rift Valley. Yakimov, MM, Giuliano, L, Chernikova, TN, Gentile, G, Abraham, WR, Lunsdorf, H, Timmis, KN & Golyshin, PN 2001, 'Alcalilimnicola halodurans gen. nov., sp nov., an alkaliphilic, moderately halophilic and extremely halotolerant bacterium, isolated from sediments of soda-depositing Lake Natron, East Africa Rift Valley. ', International Journal of Systematic and Evolutionary Microbiology, vol. 51, no. 6, pp. 2133-2143. Upstream-independent ribosomal RNA amplification analysis (URA): a new approach to characterizing the diversity of natural microbial communities. Recombinant acylheptapeptide lichenysir: High level of production by Bacillus subtilis cells. Golyshin, P, Yakimov, MM, Giuliano, L, Timmis, KN & Golyshin, PN 2000, 'Recombinant acylheptapeptide lichenysir: High level of production by Bacillus subtilis cells. ', Journal of Molecular Microbiology and Biotechnology, vol. 2, no. 2, pp. 217-224. Yakimov, MM, Giuliano, L, Timmis, KN & Golyshin, PN 2000, 'Recombinant acylheptapeptide lichenysin: high level of production by Bacillus subtilis cells', Journal of Molecular Microbiology and Biotechnology, vol. 2, no. 2, pp. 217-24. Yakimov, MM, Giuliano, L, Bruni, V, Scarfì, S & Golyshin, PN 1999, 'Characterization of antarctic hydrocarbon-degrading bacteria capable of producing bioemulsifiers', The new microbiologica, vol. 22, no. 3, pp. 249-56. Golyshin, PM, Fredrickson, HL, Giuliano, L, Rothmel, R, Timmis, KN & Yakimov, MM 1999, 'Effect of novel biosurfactants on biodegradation of polychlorinated biphenyls by pure and mixed bacterial cultures', The new microbiologica, vol. 22, no. 3, pp. 257-67. Yakimov, MM, Abraham, WR, Meyer, H, Laura Giuliano, & Golyshin, PN 1999, 'Structural characterization of lichenysin A components by fast atom bombardment tandem mass spectrometry', Biochimica et Biophysica Acta (BBA), vol. 1438, no. 2, pp. 273-80. Yakimov, MM, Kröger, A, Slepak, TN, Giuliano, L, Timmis, KN & Golyshin, PN 1998, 'A putative lichenysin A synthetase operon in Bacillus licheniformis: initial characterization', Biochimica et Biophysica Acta (BBA), vol. 1399, no. 2-3, pp. 141-53. Fedorova, ND, Shul'ga, AA, Peredel'chuk, MP, Kozharinova, LV, Golyshin, PN, Riabchenko, NF & Kirpichnikov, MP 1994, 'Klonirovanie gena vnekletochnoĭ RNKazy Bacillus circulans', Molekuliarnaia biologiia, vol. 28, no. 2, pp. 468-71. Golyshin, PN, Kombarova, SP, Riabchenko, NF, Vorob'eva, EA, Soina, VS, Dement'ev, AA & Shliapnikov, SV 1993, 'Vnekletochnye shchelochnye ribonukleazy batsill vechnomerzlykh gruntov kolymskoĭ nizmennosti', Prikladnaia biokhimiia i mikrobiologiia, vol. 29, no. 6, pp. 844-50. Dement'ev, AA, Golyshin, PN, Riabchenko, NF, Pustobaev, VN & Shliapnikov, SV 1993, 'Dve formy vnekletochnoĭ nizkomolekuliarnoĭ ribonukleazy Bacillus sp. BCF 247. Vydelenie i kharakteristika belka', Biokhimiia (Moscow, Russia), vol. 58, no. 8, pp. 1258-65. Golovko, AE, Golyshin, PN & Riabchenko, NF 1993, 'Rol' Bacillus thuringiensis v prirodnykh biotsenozakh', Mikrobiologicheskii zhurnal, vol. 55, no. 3, pp. 104-10. Dement'ev, AA, Riabchenko, NF, Protasevich, II, Golyshin, PN, Stepanov, AI, Orlov, VM, Pustovaev, VN, Makarov, AA, Moiseev, GP & Karpeĭskiĭ, MI 1992, 'Vnekletochnaia shchelochnaia ribonukleaza Bacillus thuringiensis var. subtoxicus', Molekuliarnaia biologiia, vol. 26, no. 6, pp. 1338-49.